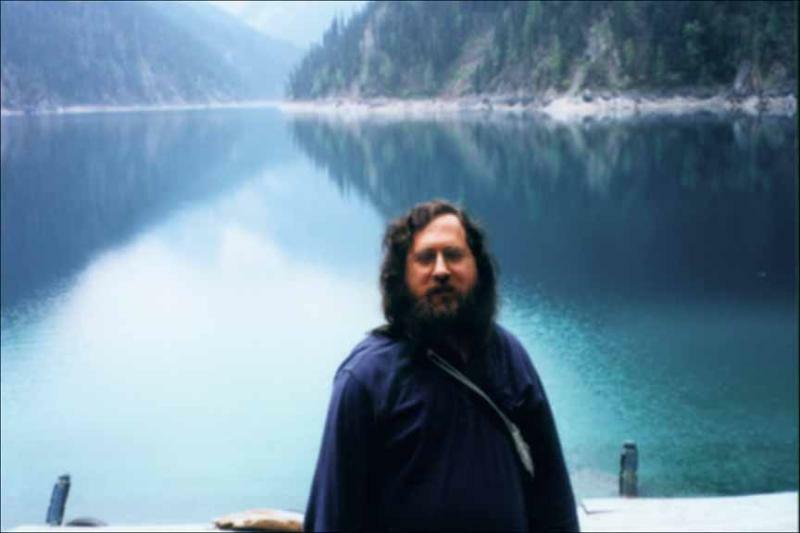 During May-June, 2000, invited by RON's Datacom Co., Ltd. and other organizations, RMS visited China, Hong Feng, the President & CEO of RON's Datacom, as well as a volunteer of Free Software movement, has accompanied him made a long trip from "Beijing -> Chengdu -> JiuZhaiGou -> Wuhan and to Shanghai" , and with Hong Feng's arrange together with helps of other free software supporters, RMS made a series of speeches under the titles of free software movement, GNU Project, copyright in digital times, etc. in these cities. RMS and Hong Feng also discussed a how to set up FSF-CHINA and a lot of other topics. Here are links to some photos of his visit. I could tell you RMS will visit China again in the future, though the exact visiting date has not been fixed yet, and we would put more photos of him by then. If you like these photos, please contact with Hong Feng, the author of "RMS Biography". The "free" in "Free Software" refers the "freedom" (- a part of human rights, free as in free speech), it is NOT related with price which is often misunderstood as "free" in "free of charge" (free beer). Also, the term "Free Software" came from GNU Project started in 1984, when the term "open sources software" was not invented yet. Please read the nice article by RMS (Dr. Richard M. Stallman) covering the difference between Free Software and open sources software. Never forget your freedom! All of web contents in this site is created by free software. Send your comments or questions about this web page to our webmaster. Copyright © 1995-2002 RON's Datacom Co., Ltd. All Rights Reserved.